MCTC provides on-site and mobile training of the highest quality at no cost to the student to all those involved in the fight against drug trafficking and substance abuse. 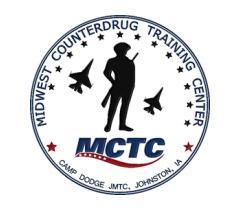 In addition to our scheduled training courses, MCTC can provide classrooms, field training areas, equipment, and other support at no cost to training events for military, law enforcement, prevention, education and treatment. All training events must have a counterdrug nexus.